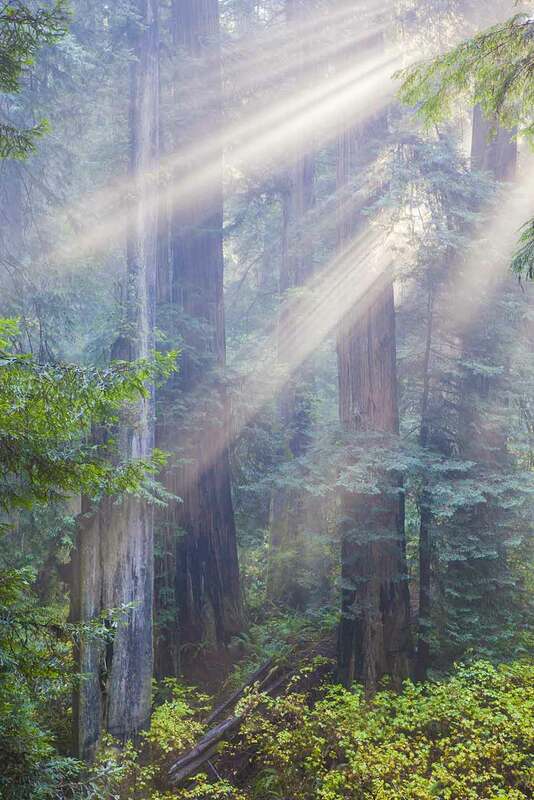 Bright, open, and lush, Jed Smith’s redwood groves are the most scenic in existence. There’s an unusual amount of variety in the color and texture of the trees, in the size of the trees, and even in the understory vegetation, making the woods an interesting place to hike. 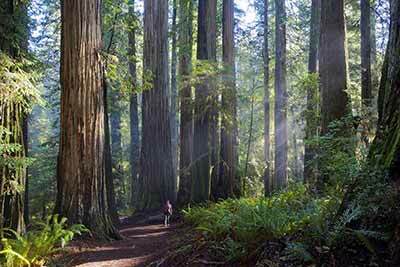 The park also has some trees of truly stupendous size: perhaps not quite as tall as the redwoods to the south, but bigger in diameter. Somewhere in the park is the largest coast redwood by volume, a tree that’s exceeded in size, and not by much, by only seven giant sequoias. 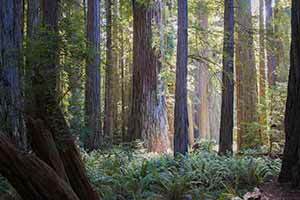 With its huge swath of uninterrupted old growth, Jedediah Smith Redwoods State Park is also the most unspoiled redwood park. In fact the main drawback of Jed Smith, at least from a hikers' perspective, is that it’s too undeveloped. 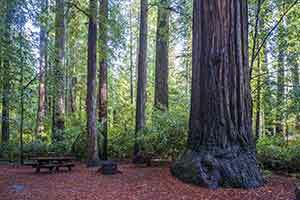 A large portion of the park has no trails whatsoever, and the Boy Scout Tree Trail is really the only trail that lets the average visitor get a look at the magnificent redwood scenery in the park’s interior. 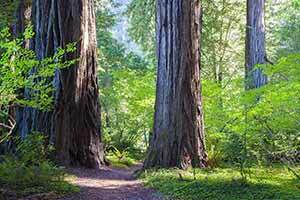 Unfortunately it’s likely to remain this way for the forseeable future, since with their increasing emphasis on conservation, parks have generally been moving trails and other facilities away from old-growth redwoods. 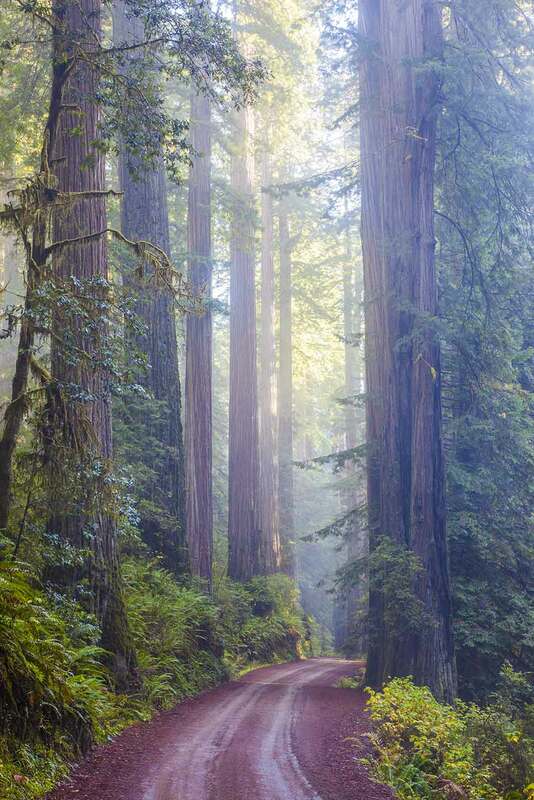 Howland Hill Road, which passes through the center of the park, is one of the best redwood drives anywhere. Depending on how recently it’s been resurfaced, this narrow dirt road can be as smooth and flat as a paved road, or it could be a continuous string of potholes. Starting from the south, the road climbs steeply into the park. 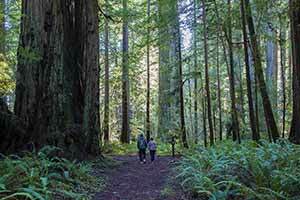 Shortly after cresting, it enters the redwoods, immediately passing through a remarkable cluster of monster trees. Cut into a hillside, the road provides some nice views of the lushly-vegetated ravine below as it descends through an otherworldly landscape. There’s a sense of isolation from the outside world, since you’re enclosed by fern-carpeted hillsides on either side and the forest canopy above, but also because the verdent, open woods are so unlike anything else you can drive through. After passing the Boy Scout Tree Trail, the road levels out and the forest, though still very attractive old growth, is a little less exceptional until you reach the Stout Grove. As you view the superb scenery of Howland Hill Road, be thankful that it was not turned into a four-lane highway. The State of California was planning to do just that, but fortunately, due mainly to the growing ecological awareness of the 1960s, Lyndon Johnson put a stop to the project. Jed Smith’s largest trees, particularly the Grove of Titans and the nearby Del Norte Titan, are off-trail (see the Mill Creek Trail page). Their location was previously a secret, but a few years after the grove was featured in a popular book about redwoods, the secret apparently got out. Hidden cameras have shown that about 10 people per day now go off-trail to visit the Grove of Titans. As a result, the grove is no longer in a pristine state; a network of unofficial trails winds through the grove and the areas around the largest trees have been heavily trampled. An official trail in the form of a raised boardwalk may eventually be built to limit further damage. 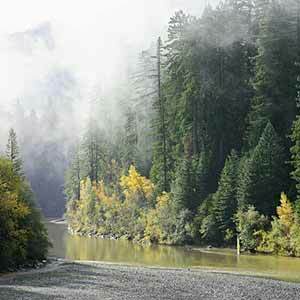 This small grove by the side of the Smith River is the most scenic redwood grove in existence. Best seen in the late afternoon, the grove has a remarkable cathedral-like appearance, hushed and serene, with huge straight trees rising through the gloom into brilliantly backlit foliage. 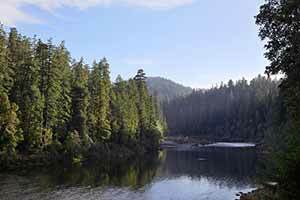 An extraordinary out-and-back hike that proceeds through a variety of redwood environments, from a low-lying plain with a pure grove of ancient redwoods, to an upland environment with smaller trees, to a mixed-species forest dotted with monster redwoods. 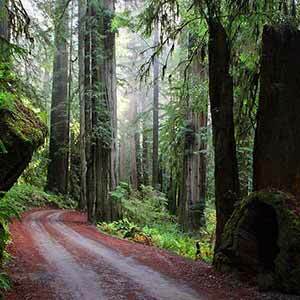 The drive to the trailhead, along a narrow dirt road that leads through superb old-growth redwoods, only adds to the mystique of the hike. 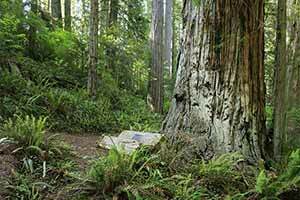 Best known for being the location of the Grove of Titans, the Mill Creek Trail also features a superb redwood grove next to Stout Grove. 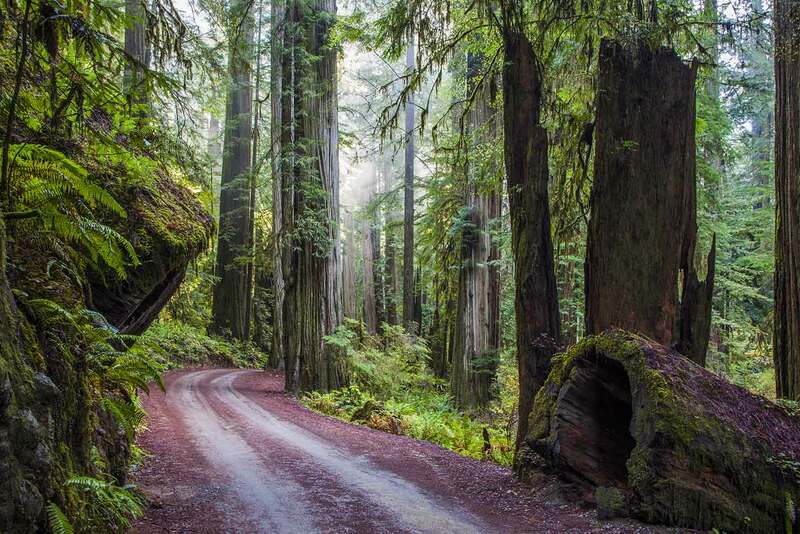 This loop starts along the banks of Mill Creek and leads to an impressive lowland redwood grove just across the road from the Boy Scout Tree Trail. 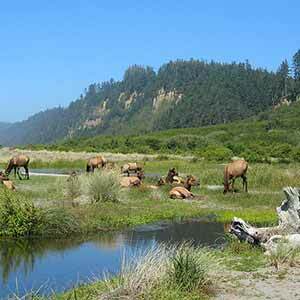 This hike starts across Highway 199 from the Simpson-Reed Trail and climbs a hillside above the highway. As the trail climbs, it passes through an interesting variety of redwood environments, from dense, lush lowlands to sun-dappled uplands. Although scenery is superb, traffic noise makes it difficult to really appreciate this hike. One of the most popular trails in the park, mainly due to its location on Highway 199. This short loop has a strikingly lush look that’s noticably different from the rest of the park. Each of these two connected loops climbs and then descends a hillside, passing by a few stretches of big redwoods along the way. One of Jed Smith’s less spectacular old-growth hikes. 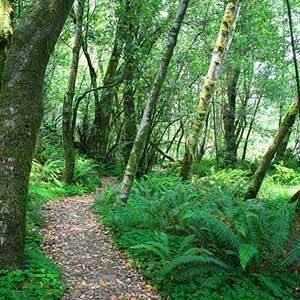 This trail follows the Smith River, mostly through uninteresting mixed-species forest at the edge of the old growth redwoods. 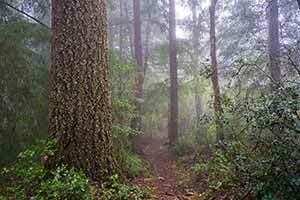 This trail climbs out of Jed Smith’s old-growth redwoods, passing through lush fir groves before entering a sparse hilltop pine forest. 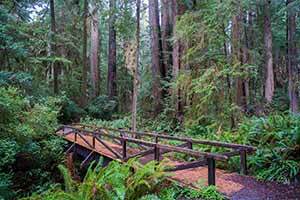 Located across Highway 199 from the campground, this trail climbs through unspectacular redwood uplands before descending through dense non-redwood forest. 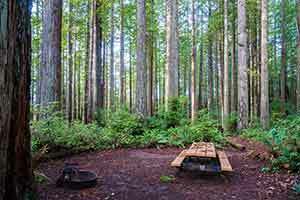 Jedediah Smith’s campground is the only one in Redwood National and State Parks where you can actually camp under old-growth redwoods. 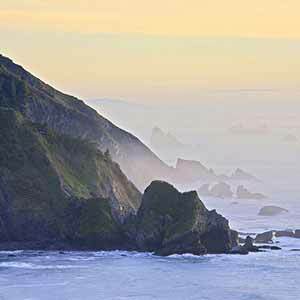 It’s conveniently just across the river from some of the world’s best redwood hikes. 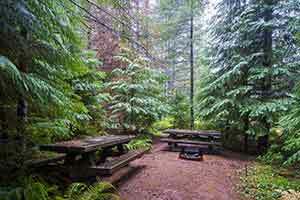 This small county-owned park is right next to Jedediah Smith Redwoods. 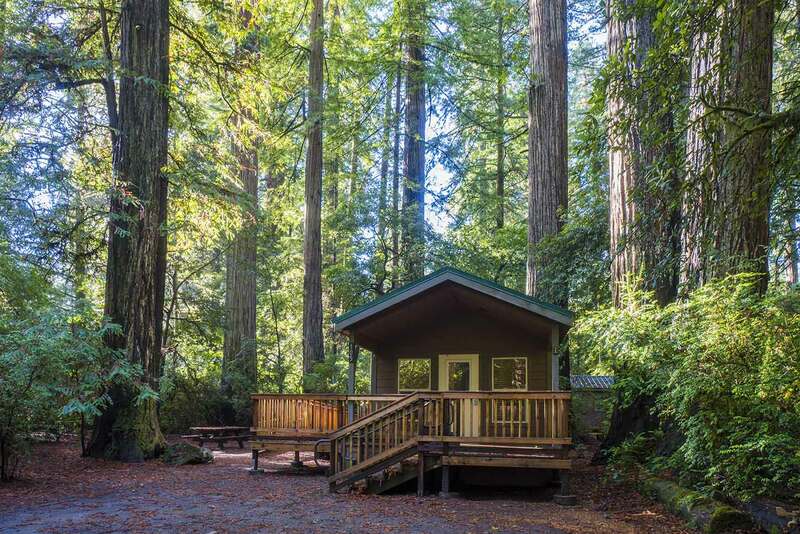 Its campground isn’t as nice as Jed Smith’s and it’s in a second-growth redwood grove, but much it’s easier to get a site, it’s really cheap, and the redwood scenery isn’t bad. 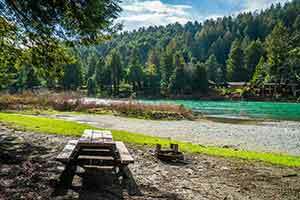 Ruby van Deventer is a small and very basic campground sandwiched into a thin strip of second-growth redwoods between busy Highway 197 and the Smith River, five miles north of Jedediah Smith Redwoods. Sand Camp is an unofficial primitive camp in the Six Rivers National Forest. There aren’t any defined sites or facilities other than a parking lot and a vault toilet, but it’s free and doesn’t require reservations. 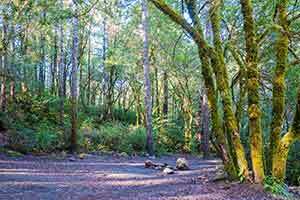 Little Bald Hills is the nicest backcountry campground in Redwood National and State Parks, but there isn’t really anything else of interest in the area. 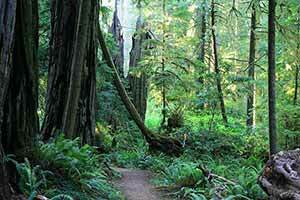 Jedediah Smith Redwoods State Park is about an hour and 45 minutes north of Arcata and Eureka. 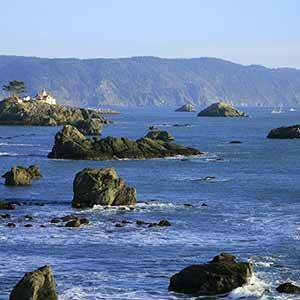 Coming from the south, Highway 101 descends from Del Norte Redwoods State Park. Turn onto the first small road to your right just after the highway levels out. This is Humboldt Road. Continue through a residential area until Humboldt Road dead-ends at Howland Hill Road, then turn right. 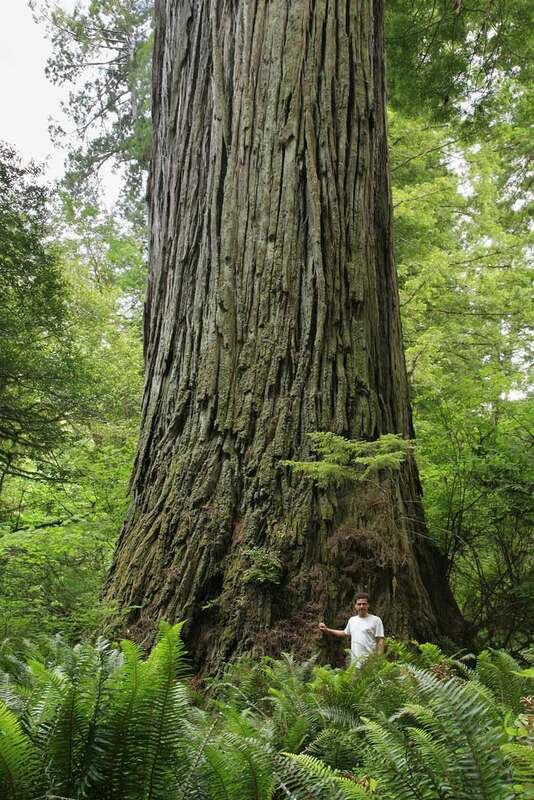 You’ll pass a casino and then climb into Jedediah Smith Redwoods. At the top of Howland Hill the road turns into dirt and you enter the redwoods. Alternatively, continue through Crescent City and exit onto Highway 199 toward Grants Pass. The highway soon enters the park, climbing over a hill with many twists and turns and then passing the Simpson-Reed grove. After crossing a large bridge high over the Smith River, the highway passes the campground (which has a small visitors' center) and then the Hiouchi Information Center. To reach Howland Hill Road, continue for few more miles through the town of Hiouchi and along the Smith River gorge. Just after crossing a bridge over Myrtle Creek, turn right onto South Fork Road, a small road that crosses a high bridge over the Smith River and then soon crosses a second bridge. Turn right at the intersection just after this bridge and continue, over a small covered bridge and through a residential neighborhood, until the road turns to dirt and enters the park. 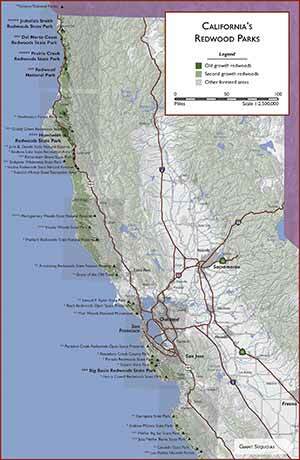 Mario Vaden’s website has pages on notable redwoods as well as some of Jedediah Smith’s trails. 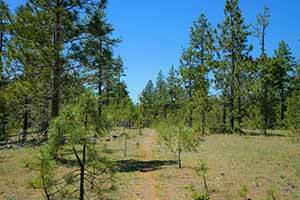 BnB Hiouchi has a blog that describes several hikes in the Jed Smith area.